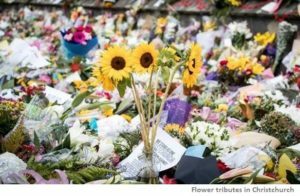 New Zealanders were shocked and horrified by the tragic events in Christchurch where 50 innocent men, women and children were mown down by a deranged Australian gunman as they prayed. The outpouring of national grief and support for the families and the people of Christchurch has been remarkable – a tribute to the kindness and generosity of Kiwis. What is disturbing, however, is how the matter is now being politicised. The emotions of those in shock and grieving are being exploited by political opportunists and radicals. “According to this alternative narrative, we are a hateful nation of racists, white supremacists and Islamophobes. “Not only that, but the massacre was no surprise. A sudden outburst of violent race hatred was bound to happen. Rather like the cataclysmic earthquake we are constantly warned to be prepared for, it was not a question of if, but when. It is now accepted that the atrocity arose from the actions of a single person acting alone, who, it appears, had little regard for white supremacists. Despite this, radical Maori sovereignty activists are now using the tragedy to claim that anyone who doesn’t support their agenda – which is no less than the co-governance of New Zealand – is not only a racist but a white supremacist as well. It was reported that people walked out of a vigil held in Auckland last Friday for those killed in the attack, because the speeches were all about racism, colonialism and white supremacy, instead of being about the victims. While the killer is widely described as a ‘white supremacist’, he has identified himself as an ‘eco-fascist’. An ardent admirer of Communist China, he has been heavily influenced by the scaremongering of extremist environmentalists who claim that humans are destroying the planet through overpopulation and climate change. This led to his obsession with population control and the impact that the mass migration of people with high birth rates is having on the culture of the countries they are settling in. But while Green extremism was a factor fuelling the delusion that led to this terrible tragedy, the killer wanted his attack to result in a knee-jerk crack-down on law-abiding gun owners. He believed that if the New Zealand Government forced through a hasty and unjust change to gun laws, they would trigger a chain reaction that would reverberate around the world. To say the gunman wanted notoriety is a gross over-simplification. His primary motivation appears to be to galvanise the anti-gun lobby into action. His main target was the United States, where the right to bear arms is guaranteed by the Constitution. He wanted to generate such a massive conflict over gun ownership in that country, that it would divide America and lead to civil war, balkanizing the US and destroying their global power base. By swiftly announcing a New Zealand ban on military style weapons with immediate effect, Jacinda Ardern’s Government is doing exactly what the killer wanted. If law changes are forced through under Parliamentary urgency, before the real problems have been identified – for instance, whether the gunman took advantage of laws that are inadequate, or whether he broke laws that are poorly enforced – then the Prime Minister will be doing the country a grave disservice by changing the law based on speculation. That’s why the proposed changes to our gun laws should be postponed until the Royal Commission of Inquiry has identified the exact nature of any problems that exist with present legislation, so that a proper remedy can be designed and introduced. A robust Parliamentary process, with a reasonable timeframe for public consultation of between four and six months, is essential for good law making. By changing gun laws under urgency to look decisive rather than addressing any immediate threat, the PM will be denying New Zealanders their democratic right to engage in a matter that is of significant public importance. Putting aside one’s views on gun control, protecting democratic rights is an issue we should all be concerned about. But aside from reinforcing the gravity of the tragedy and giving the public comfort that this will never happen again, is there is an ulterior motive for the Prime Minister’s hasty action against gun owners? Perhaps she wants to shield herself from blame if it becomes more widely known that she was responsible for relaxing New Zealand’s gun laws in December. With virtually no publicity, the Prime Minister presided over an executive committee that introduced significant changes to the gun laws late last year. Using an Order in Council to avoid Parliamentary scrutiny, she introduced the Arms (Electronic Transactions) Amendment Regulations 2018, which came into effect on January 20th 2019, to enable anyone applying to become a gun dealer, get a firearms licence, obtain an endorsement for a restricted firearm, secure a permit to buy a military style semi-automatic firearm, or import a restricted weapon, to do so online through the internet. Until then, anyone wanting a gun permit or license had to physically front up to their nearest Police Station to hand in their application. If the gun they were purchasing had to be officially verified, it then had to be taken back into the Police Station for the check. As far as military style semi-automatic firearms are concerned, the previous system was rigorous – anyone with an E-category endorsement wanting to buy a new gun, had to visit their Police Station for a permit, show the permit to the seller, and then take the firearm back to the Police for verification. Under the Prime Minister’s law changes, not only can applications for restricted weapons be carried out in relative anonymity through the internet – including the vetting of military-style firearms by video – but an endorsement to own a military style semi-automatic firearm, pistol, or any other restricted weapon, can also be applied for online. While the Government is unlikely to admit it, it appears that saving money could have been an underlying motivation for the law change. According to a Police consultation document published in January, 76 district-based Arms Licensing Officers and 280 Firearms Licensing Vettors were to be disestablished and replaced with a centralised bureaucracy based at Kapiti. However, with the link in the document to a Police website for further information about the consultation no longer working, there is every possibility that the restructuring proposal has been quietly abandoned. If, as reported, the killer used the internet to buy guns, Jacinda Ardern’s new law changes may well have contributed to the tragedy. Under the old system, if he had he been required to front up to a Police Station and been interviewed by a Police Officer, in his heightened state, there is a possibility that alarm bells just might have started to ring. The Government also appears intent on keeping the public permanently in the dark over what really motivated the Australian killer to take the lives of so many New Zealanders. In an extraordinary step, the Chief Censor David Shanks has decided to ban not only the video of the shooting – a move that most New Zealanders would understand – but also the ‘manifesto’ that Brenton Tarrant published to explain why he carried out his attack. Trying to understand why someone would massacre defenceless people – including young children – is crucial if we are to ensure that such a brutal act does not happen again. But classifying the document that provides some answers as “objectionable” under the Films, Videos & Publications Classification Act 1993, means that it is now illegal to distribute or possess a copy. In light of the gross politicisation of the tragedy – including by the Government – the Chief Censor is doing the country a grave disservice by preventing the public from better understanding what was really behind the attacks. New Zealanders are now extremely vulnerable to the influence of politicians and activists who are making bogus claims to advance their own agendas. While the Courts have always been loath to restrict the freedom of expression contained in section 14 of the Bill of Rights – which guarantees everyone “the right to freedom of expression, including the freedom to seek, receive, and impart information and opinions of any kind in any form” – the Chief Censor believes he is justified in taking our rights away. The Censor’s ban will be enforced by a specialist team operating out of the Department of Internal Affairs, using extraordinarily harsh penalties for any breaches – a prison term of up to 14 years, or a $10,000 fine. The Foreign Affairs Minister Winston Peters was duly dispatched to Turkey to clarify matters and stop the President showing the video. But while he met with the President, the video was not discussed and it is still being shown! While the whole of New Zealand was horrified by the events that took place in Christchurch on March 15, we should not let it undermine our democracy and our right to free expression. Through State censorship and hasty law changes, Jacinda Ardern’s Government is trying to disempower New Zealanders and keep us in the dark. Do you believe the Chief Censor was correct in banning the alleged killer’s ‘manifesto’ explaining why he carried out the attacks? The summary of Tarrant’s 73 page manifesto, & I quote; ‘Conservatism is corporatism in disguise. I want no part of it.. The Nation with the closest political and social values to my own is THE PEOPLE’S REPUBLIC OF CHINA’. Does that sound like something “a right wing extremist” would say? Of course the Socialist – Globalist Left [, including National, who would be fighting for the manifesto release, if they weren’t in the same boat,] are going to do everything in their power to ensure the Sheeple don’t know the truth. Interesting how The attack coincided with a visit from that extreme left U.S.A. Democrat, still lying about a Pres. Trump, Russia collusion. Interesting also, how our MSM have made no mention of the HUNDREDS of Christians raped & murdered in muslim countries such as Nigeria…. A.G.R.